In Theravada Buddhism there are four stages of enlightenment. They were originally couched in the language of how many more lifetimes one would at most need to reach Nirvana, along with the psychological descriptions of each state. We can dispense with reincarnation nonsense and just stick to the psychological descriptions of enlightenment. They are often described as different paths, the 1st path is the first stage of enlightenment, the second path is the second stage of enlightenment and so on. 1st path: One is no longer deceived by perceptions of self, and self-existent reality outside the mind. There is less attachment, less suffering, less craving , more inner peace, more love, more generosity. Obtained through the direct experience that the reality we see is largely a manifestation of our mind. The most common event that triggers this insight is called a cessation. What is a cessation? A cessation is an event that occurs during meditation where the mind completely shuts off and reboots. Consciousness disappears, and then reappears. This is often referred to as a ‘blip’. A cessation deeply imprints into the mind that the reality we see has always been at least in part a creation of our own mind, including our sense of self. 2nd Path: Desire and aversion, while not completely extirpated, have vastly diminished and only appear when tired, or unmindful, and are easily overcome when they do arise with a little mindfulness. 3rd Path: One becomes completely and totally free from the compulsions of desire and aversion and their manifestations — greed, hatred, anger, jealousy, and sadness. 4th Path: The meditator has completely overcome the conceit and restlessness associated with “I” and has put an end to suffering. Enjoy this hilarious conversation between the ever-funny John Oliver and always charming Dalai Lama. Air Pollution Kills 200,000 Americans Every Year. I was listening to Tim Ferris’s podcast with Arnold Schwarzenegger where the Terminator mentioned this stat, saying it was by far the biggest environmental problem we face today and his current mission to help stop it. He wasn’t making these numbers up. Air pollution kills through lung cancer and heart disease. For those that don’t die, air pollution is also responsible for a huge increase in asthma nationwide. “Researchers from MIT’s Laboratory for Aviation and the Environment have come out with some sobering new data on air pollution’s impact on Americans’ health. The smog of pollution over LA. To put this in perspective, during the Civil War 155,000 Americans died per year. During WW2 80,000 Americans died per year. So air pollution kills almost as many Americans per year as WW2 and the Civil war combined. Worldwide air pollution kills up to seven million people per year, making it one of the biggest killers in the world. I can’t tell you how many times I’ve heard this excuse from people with ADHD as to why they can’t meditate. But this is just an excuse, I know because I’ve been diagnosed with ADHD myself, so I know what’s like not have an ounce of concentration. But through meditation, your concentration can be vastly improved. I did it, and so can you. Anyone can meditate, no matter how bad your concentration is. The key in the beginning is to just do short periods, many times. Try 5 minutes. But commit to those 5 minutes. Do no get up before those 5 minutes, no matter what. Aim for 20 minutes a day (eventually longer), and do 4 sessions of 5 minutes. Then when you get better , 2 sessions of 10 minutes, and then finally one session of 20 minutes. When you can do a 20 minute session, that is when you will really notice the benefit to your day. Now sit down in a chair, keep your back straight and just watch your breath. If thoughts come in, that’s ok. Thoughts are always going to be there unless you are an expert meditator. The goal is to just keep focusing on your breath and let your thoughts do whatever they do. Thinking is not a problem, it’s only a problem if you forget to follow the breath as you think. Of course..in the beginning this will happen quickly and often..
Maybe even after one or two breaths, your thoughts will carry you away and you will forget that you are supposed to following the breath. You will be lost in a daydream. That’s fine. When you ‘wake up’ and notice that you were lost in thought, go “aha”, congratulate yourself for noticing that you have forgotten the breath and go back to following the breath. Always positively reinforce that ‘wake up’ from daydreaming. That way your brain will want to ‘wake up’ and will do it on it’s own. Your goal in the beginning is to have as many “aha” moments as you can. To simply reduce the time you spend daydreaming and not following the breath at all. You can also try counting the breath. Breathe in, breathe out (never forcing the breath, just letting the breath be) “1”, breathe in, breathe out “2”. Go up to 10. Can you make it to ten? Start back at one. Got to ten again. Forget what number you are on? Lost in a daydream? Start back at 1. Over time you will get better, enjoy it, and can’t believe you spent so much of your life not meditating. 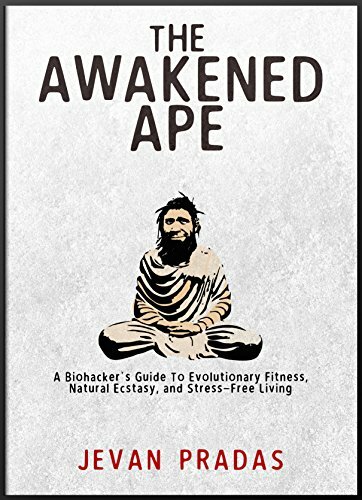 My book the Awakened Ape is now available on paperback. It’s 280 pages, yet people have been telling me they are finishing it one sitting! A recent Study Published in European Journal of Clinical Nutrition compared two groups of diabetic patients over the span of a few weeks. 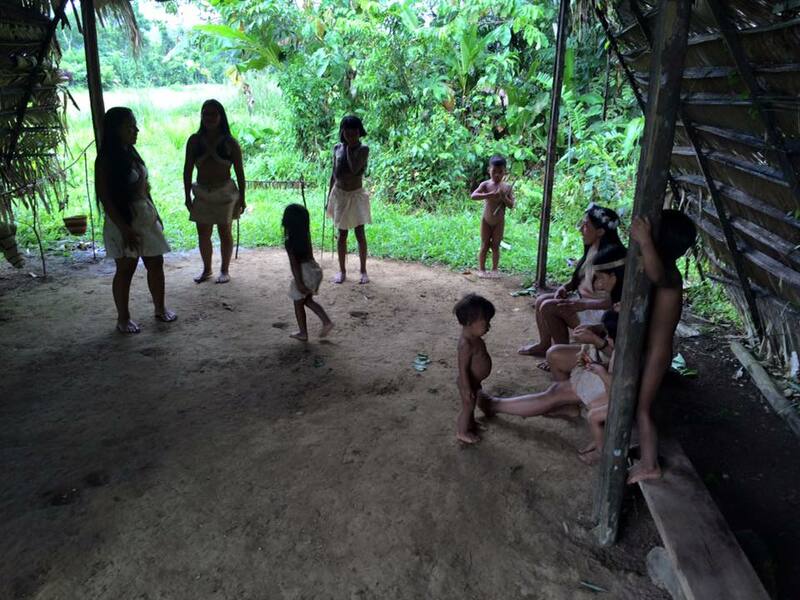 One group was given a Paleo diet to eat, comprising lean meats, vegetables, fruits, and nuts. The other group was given the diet recommended by the American Diabetes Association (ADA) which contained low-fat dairy, whole grains and legumes. The results? Paleo won. Both groups had improvements in metabolic measures, but the Paleo diet group had greater benefits on glucose control and lipid profiles. Also, on the Paleo diet, the most insulin-resistant subjects had a significant improvement in insulin sensitivity (r=0.40, P=0.02), but no such effect was seen in the most insulin-resistant subjects on the ADA diet (r=0.39, P=0.3). Richard Dawkins and Sam Harris in conversation. Two of the world’s greatest minds in conversation. Dawkins, especially, is at the top of his game here. The first minute of this conversation includes a poem Dawkins wrote about his recent stroke. It’s absolutely sublime. How to Find Meaning without Religion.